So you want to podcast! Congratulations! Podcasting takes a lot of time, but it’s also a LOT of fun! I’ve put together a simple guide to help you get started. 1. Record Your First Episode. You have to have some kind of recording device and software where it records your voice and then saves the file as an audio file. I started very simply with the Voice Recorder app on my iPhone! That being said, podcast listeners like good quality audio. So if you’re serious about podcasting, eventually you’ll want to invest in a good microphone, headphones, and create an echo-free environment. Chances are, you’re not perfect. You flubbed a little and need to cut that out. Or your stomach rumbled. Or maybe you wan to add some music to the beginning and end of the show. To edit your podcast file, you will use a DAW (Digital Audio Workstation) software program. I started with Garage Band, which comes free with Macs. Audacity is also free and widely used. When I learned the basics of audio editing, I eventually upgraded to Reaper. It was $60 when I bought it, and I love it. The company creates easy “how to use” tutorial videos which are easy to follow and understand. Now once you have at least one episode, you’ll want to find a podcast host. 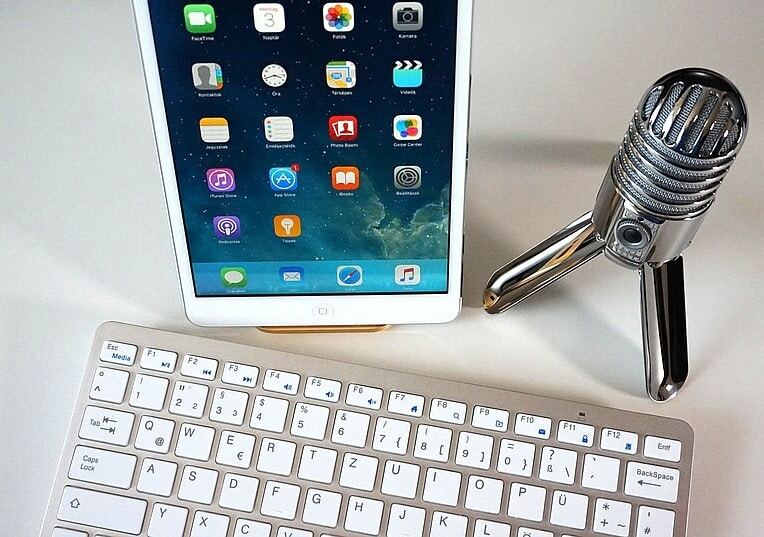 A podcast host will host your audio files and format your show information for iTunes and other providers. My podcast is currently hosted on Pippa. Pippa has some really great features, quality tech support, and caters to all sizes of shows. 3. Create your Show and get your RSS Feed URL. Once you’ve created your show on your host, you’ll upload your episodes one by one. Once you have at least one episode uploaded, your host will give you an RSS FEED address. This is important! This is the url you will give to all the podcast providers out there. A podcast provider is like iTunes, Spotify, Stitcher, Google Play, they are basically sites or apps where people go to find and listen to podcasts. Now you are ready to start submitting to providers! The first one you’ll want to submit to is Apple Podcasts (formerly iTunes). It takes a couple of days to get approved and be found on the Apple Podcasts lineup. Enter your RSS FEED url that your host gave you. It will take a couple of days for Apple Podcasts to check out your show and approve you. It might take several weeks to actually show up in the podcast search. Be patient! I’ve heard from many podcasters that it’s easier to submit to Spotify through your podcast host. So find a host that provides this service. Podbean and LibSyn both have the “Submit to Spotify” feature. This does not guarantee, though, that you will be accepted. It will ask you to verify your email address and that you are the owner of the feed. Sign up for a content provider account on Stitcher. Once you’re logged in, click on Add Shows on the top menu. Go to: https://www.acast.com/podcasters and choose Non-Hosted Show. Follow the prompts. CastBox states that it will eventually pick up your podcast feed itself. There is no way to manually submit to CastBox.